Jeramie Prine (owner/head guide) is a fourth generation Wyoming-ite and grew up fishing around the Dubois area where his great-grandparents purchased the Ram’s Horn Guest Ranch, in the pristine Dunoir Valley, over seventy years ago. 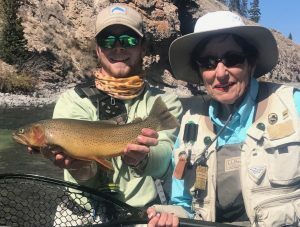 He has been fishing this region for over 33 years, and took up fly fishing at the age of eight when his uncle, ranch fishing guide, gave him his first rod. 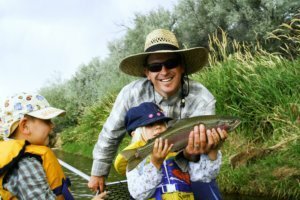 Every since then, he has been fueling his fly fishing habit in Wyoming’s finest waters, learning techniques, history, and ecology of local trout fisheries. Jeramie comes from three generations of Wyoming fly fishers and can be found tying flies on his great-grandfather’s fly tying vice when not fishing, mountain biking, hunting, or teaching his two children to be outdoor enthusiasts. 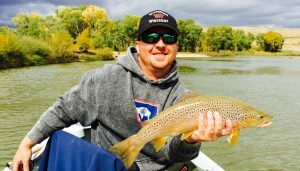 Jeramie has a Master’s Degree in teaching and the ability to work with all ages and abilities when it comes to fly fishing. 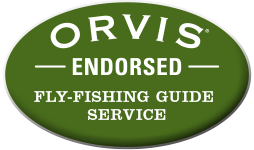 Jeramie works hard to put you on fish while providing a professional, personable, and a pleasurable fly fishing experience. Jeff Judkins (head guide) has been fishing and has had the “bug” since an early age beginning with lake fishing in Maine, continuing on to the rivers in Virginia, and eventually ending up on Wyoming’s waters. Jeff has been coming to Wyoming to fish since he was in elementary school. His dad made a point of getting his family out here as often as he could. Jeff’s most vivid memory was his first venture into the Wind River Mountains. Hanging out in Fremont County during those formative years sold him on Wyoming. 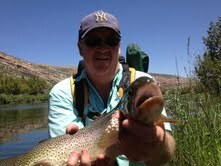 Every since then, he has pursued trout in WY, MT, ID, and NC; both personally and professionally. 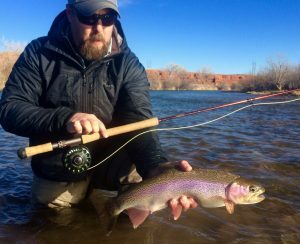 Along with fly fishing, Jeff is a Wyoming school teacher and a National Outdoor Leadership School (NOLS) Instructor in Lander. He enjoys spending his free time in the mountains exploring new waters, as well as drift boat/wade fishing the many rivers in the area. Jeff has experience working with children and adults; beginners to experts. Nick Fulton is a third generation Wyoming-ite who grew up on a family farm in Powell, Wyoming. He started fly fishing on the creeks running through the farm at nine years old, and was tying his own flies by the time he was ten. 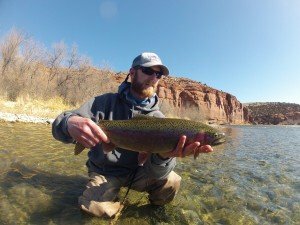 After graduating from high school, his passion for fly fishing ignited, and how he spends roughly eighty days per year on the water. Nick is a teacher in Powell, Wyoming after teaching and coaching for years in Lander. He is a high school wrestling coach in Powell, so teaching new skills to people on the river comes second nature. When not at work or on the river, he enjoys spending time with his wife, son and family, tying flies, hunting, and helping on the family farm. Nick may be one of the hardest working guides on any river, let alone the Bighorn. Nick works hard to put guests on fish and isn’t afraid to back-row the boat several times in any condition. Rick Mickelsen is a Wyoming native and lifelong resident. He received his first fly rod for Christmas in 1970 and has been chasing Wyoming’s trout ever since. Rick has logged approximately 100 days of fly fishing a year for as long as he can remember. He has traveled extensively to pursue his passions of family, fishing, skiing and hunting. His first trip on the Bighorn was in 1986 with an old Lavro drift boat he borrowed from his brother. Back in the day there weren’t the nice developed boat ramps we have today. As a matter of fact, to launch a boat for some stretches he had to wrestle the boat over a highway guard rail and slide it down a grassy bank. Over the years, Rick has been able to collect four IGFA fly fishing world records. He is at a point in his fishing career where he gets as much or more pleasure helping others learn to fly fish and catching their own fish of a lifetime. Rusty Komrs is a Wyoming native and grew up fishing the rivers and lakes nearby. His love for fishing started as far back as he could remember. His father introduced him to fly fishing at a young age. He can still remember his Grandpa teaching him to read water and overcoming creek-side obstructions. He attended the University of Wyoming on an academic scholarship; where he received a Bachelor’s Degree in Business Administration. After college Rusty began traveling and honing his fly-fishing skills. Rusty has worked for the local school district as a teacher’s-aide and soccer coach. He uses a calm approach to teach all levels of fishermen, casting and landing fish. Throughout his life he’s always traveled with a fishing rod, fishing new waters anytime the opportunity arises. No matter the water or fishing style, the rivers and lakes in central Wyoming are home waters. Rusty enjoys nothing more than seeing others winning a challenging fish fight, landing the first fish, or hooking a trophy trout. He personally enjoys learning something new every trip on the water. Whether it’s watching eagles, spotting river-life, or listening to fish stories, he enjoys all aspects of being on the river. Noah Studdard was born with a passion for being on the water and in the woods that is exceeded only by his passion for people. Being born in a small town in Georgia, there were not many rivers or streams that provided his species of choice… the trout. Therefore, Studdard began to travel. From a very early age, his father’s veneration for the outdoors introduced Noah to the Rocky Mountains. Very soon, he introduced himself to the fly rod. Rod in hand, he fished from Georgia to Idaho and everywhere in between that he could find a trout. Finally, he stumbled upon a brilliant spot in the road called Dubois. This is where Studdard was first truly exposed to “the sickness” of fly fishing, and a few years down the road he was officially diagnosed. Falling in love, but not being able to move away, he found a few trout streams in the north Georgia mountains that would suffice for the time being. At the age of 17, Studdard began guiding on the Toccoa River and neighboring streams in the foothills of the Appalachian Mountains, all the time devoting a couple of weeks each summer to the Wind River and the Absaroka’s. Eventually, the opportunity to spend his days guiding in the Wind River Range as opposed to the north Georgia mountains, presented itself. With no second thought, Studdard got to Wyoming as quickly as he could without looking back. Using the exact things he fell in love with as a child and his passion for people, Studdard began guiding in order to offer others the chance to relish the experience that so easily became his first love. Todd J. Helms was not born or raised in Wyoming but he got here as fast as he could and now resides in Thermopolis. He grew up in Michigan spending his formative years stalking the major trout, steelhead and salmon streams of the Great Lakes State. He also spent two years living and fishing on Kodiak Island, AK. The lessons learned coupled with over four years of guiding in Wyoming give him a unique viewpoint and a wide skill set. 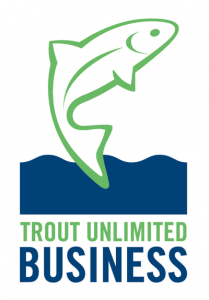 Todd is not afraid to think outside the box and loves to introduce his clients to new and exciting ways to catch trout on the fly. Todd has been fly fishing since age six and loves nothing more than to impart his passion for the sport to others. He is a High School English Teacher and has also coached various sports during his career as an educator, he has a Master’s Degree in Education and loves helping people learn. Being a teacher means that “Mr. Helms”, not only knows the art of instruction; he knows how to get the most out of each day on the water. Todd has three simple rules in his boat; have fun, learn something and catch fish! Spending a day on the water with Todd is sure to be an experience you won’t soon forget. He is professional, personable and persistent in making sure guests have a great day on the water. Spike Robinson grew up fishing and hunting in the Big Horn Mountains near his hometown of Kaycee, Wyoming. There, streams like the Middle Fork, Red Fork, and North Forks of the Powder River became his playground. Spike learned to fish at an early age, and explored and fished the lakes and streams of the Big Horns until he moved to Lander, Wyoming in 2003. Spike loves everything outdoors, and loves spending time fishing the many rivers and lakes of the Wind River Mountains. 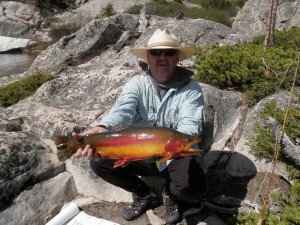 The Lander area affords him the luxury of his pick of several blue ribbon trout streams like Bull Lake Creek, the many forks of the Popo Agie and Wind Rivers, and the Big Horn and Green Rivers. He is a 2016 inductee to the Wyoming Coaches Association Hall of Fame, having coached basketball, football, and track and field for the past 29 years. His basketball teams have played in five state championship games, winning three. Along with coaching, Spike has officiated five Wyoming state championship football games. 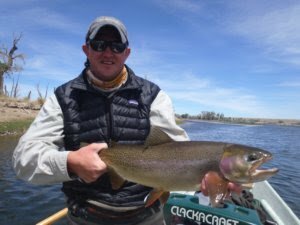 Spike uses that coaching experience to help teach fly fishing skills to less experienced clients, and loves nothing more than seeing his fishermen have a great day on the water. Spike works at Lander Valley High School in Lander, and lives near the North Fork of the Popo Agie River on the Wind River Indian Reservation. Although he enjoys golfing and hiking, or just about anything outdoors, he prefers being on the water most of all, either guiding clients, or fishing himself with friends and family.